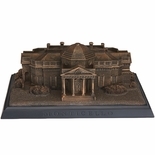 The "First Monticello," sometimes called "Monticello I," refers to the house as it was during the period of roughly 1770 to 1796. 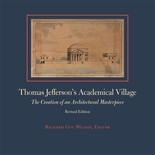 Thomas Jefferson determined that his home, Monticello, should be a model for the correct use of the Classical orders. 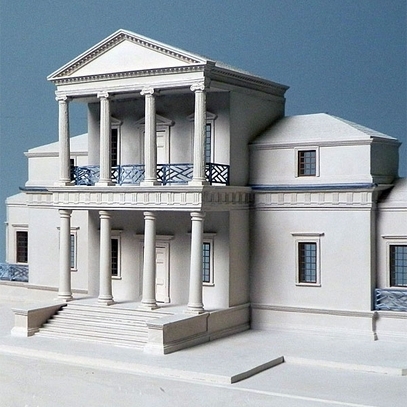 This was a rarity in Virginia where Jefferson wrote: �a workman could scarcely be found capable of drawing an order.� His passion for Palladian design as well as proper application of the orders is conspicuously demonstrated in his 1771 elevation drawing of the first version of the house, which began around 1772. 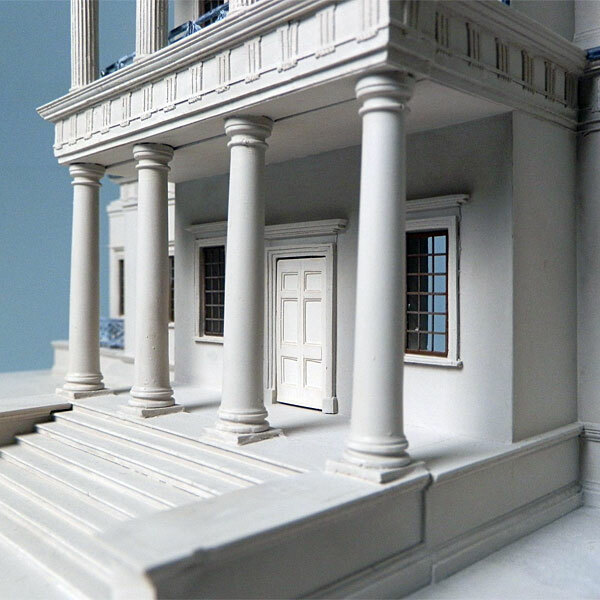 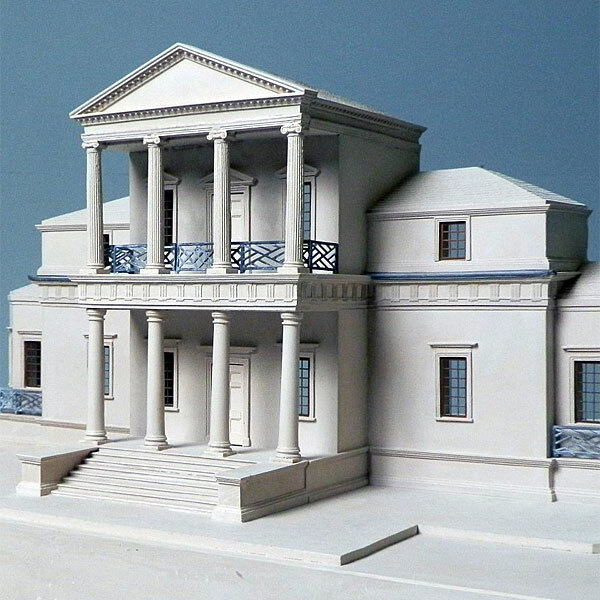 The two-tiered portico, superimposed orders, and hipped-roof wings with attic stories made the original Monticello a reduced version of Palladio�s Villa Cornaro. 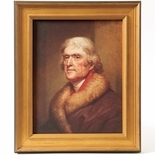 Jefferson�s enthusiasm for Classical details extended to his chimneys which are Classical pedestals. 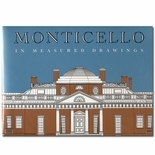 Monticello's first version was a precedent-setting tripartite scheme for America, but it was never fully completed. 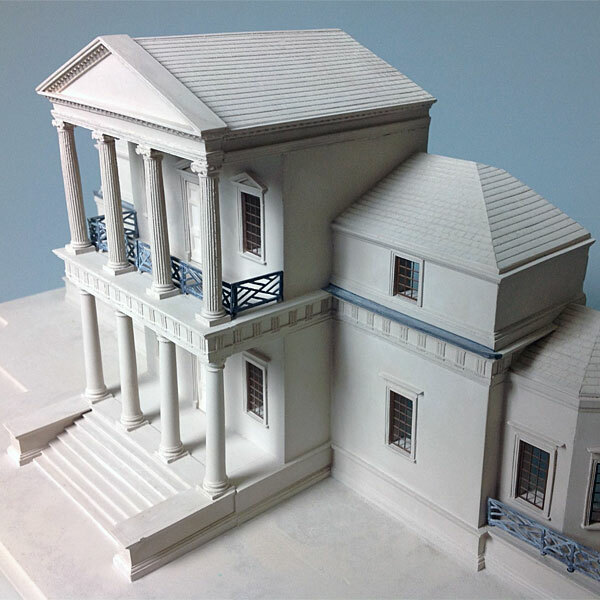 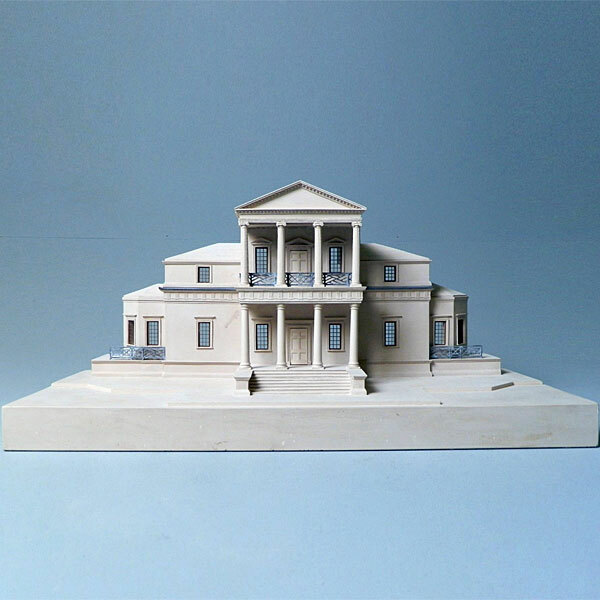 Following his return from France in 1789, Jefferson transformed the unfinished house into the domed version we know today, a combination of Palladian and French Neoclassical influences. 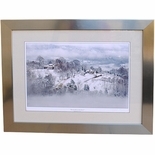 Dimensions: 17 1/2"w x 8 1/2"h x 7"d. Made in England. 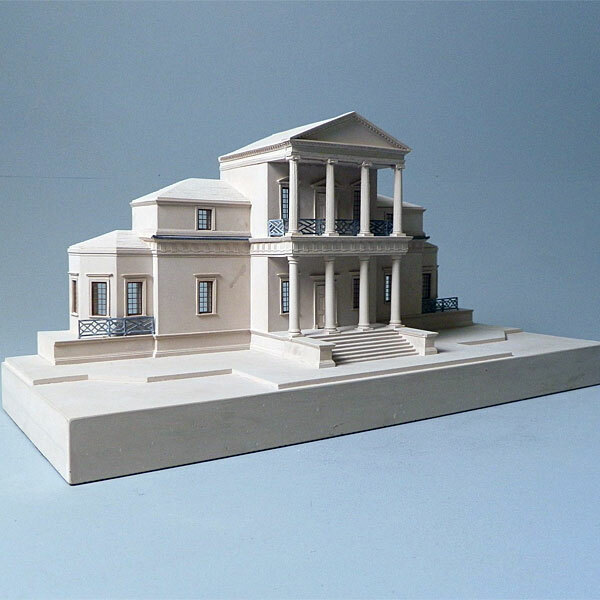 This model is hand made to order and may take 6 weeks to deliver.